As I've mentioned before we were out in Portland recently to celebrate our friends Lex and Eric's baby shower with them. We wanted to made something super special for them being that they are family to us 'n all. We put on our thinking caps and tried to figure out what we could make that would be beautiful and practical, and we eventually landed on the idea of making them a little rocking crib that they could use in another room other than the nursery. 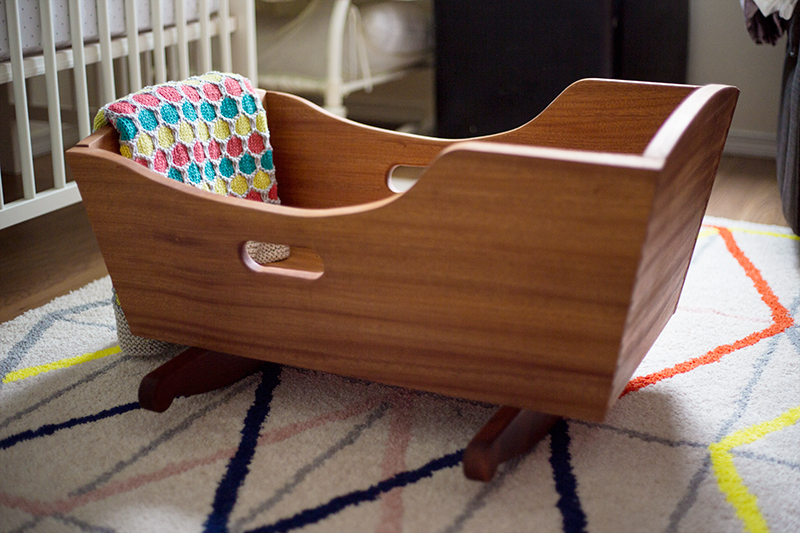 Will picked out such great woods: sapele for the crib, and mahogany for the rockers. As you can see in the before and after just adding two coats of wood oil brought out those darks grains, especially on the end cuts. Oil can pretty much changed the look of a whole piece. 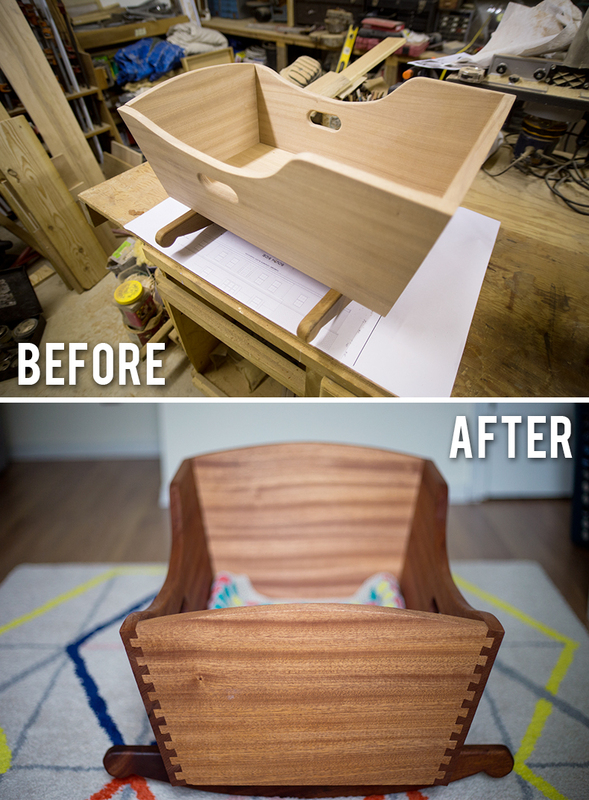 Will's father was kind enough to lend a big helping hand and his workshop to Will so he could make this gorgeous rocking crib. Unfortunately, the majority of the building time I was chained to the computer upstairs with long work projects, but I did get to do some sanding and oiling. Will designed the crib himself, and made it so that we were able to pack up the disassembled pieces into our checked bag and reassemble it in Portland. It was received very well, and Will is really proud of his work. It's wonderful to be able to create a thing for loved ones with loved ones, and this is a special piece that will always mean a lot to everyone involved. Do you guys make things for your friends and family for those special occasions? This is such a beautiful, personal gift! I wish I had the resources to make beautiful homemade wooden things! This is so cute! And I love the pattern of the blanket! Do you or have you two thought about occasionally making and selling stuff like this on Etsy? How beautiful! He did a great job. I think handmade presents are the best. My uncle is a woodworker, and the gifts he has given my son are the ones he will cherish his whole life, like a beautiful wooden piggy bank and rocking horse. Hot damn! That's family heirloom level stuff right there. How amazing. I think the gift of furniture is one of the most beautiful things you can pass on to a family. My boyfriend's father is an amazing woodworker and built us a beautiful bedframe and bookshelf - something we will have for forever. Thank you. We are so lucky that Will's dad has an amazing wood workshop and always us to use it. Thank you! We haven't ever given too much thought to it, maybe one day. It would be fun just coming up and creating wonderful wood pieces. Haha! I didn't even think about it looking that way until you said it, oops :). I couldn't agree with you more. I wish everyone had someone in their lives who make gifts for them. I bet piggy bank and rocking horse that your uncle made are absolutely beautiful! I couldn't agree with you more. I love the idea of passing the pieces down from generation to generation. This is just beautiful! 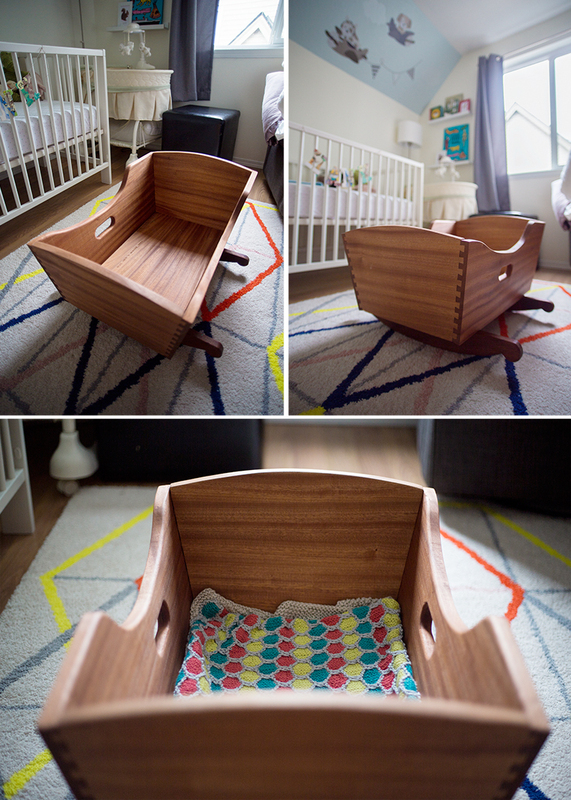 Andrew and I are trying for a baby this year and he's thinking about building the crib furniture himself. How special the piece will be for them!